In need of some romantic inspiration? 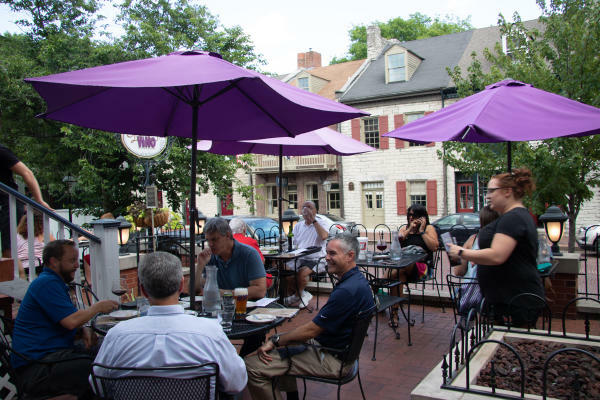 We&apos;ve collected a few Downtown St. Charles dinner options to help you out. 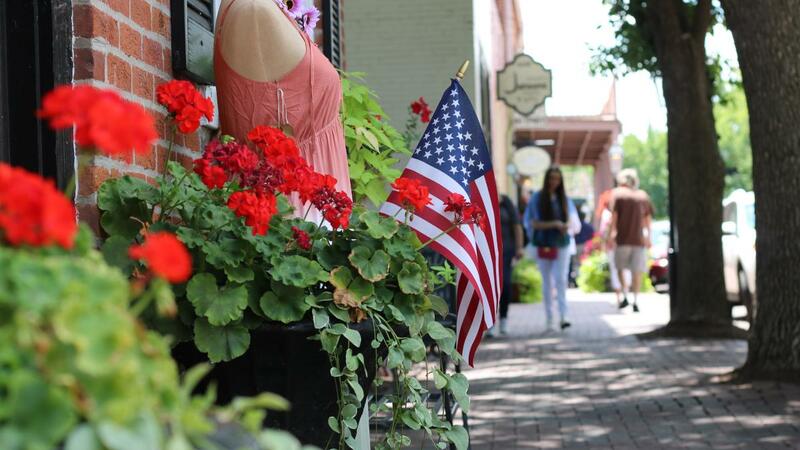 When you spend a date night on Main, enjoy some light shopping before dinner, delicious food from our local restaurants, and a sunset stroll in Frontier Park after. 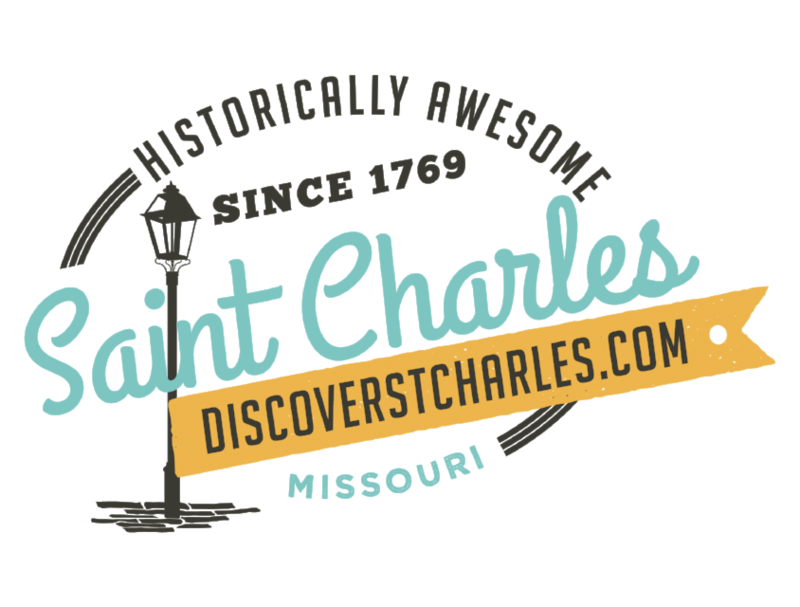 As a bonus, with its historic buildings, cobblestone streets, and beautiful Frontier Park, Downtown St. Charles is full of great photo opportunities to document your evening. 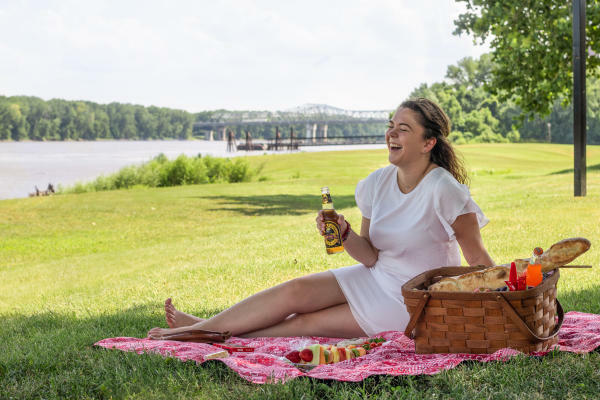 If you’re looking for a more affordable, but still special evening, pack a picnic with some goodies from home and spread your blanket in Frontier Park. This is one of my favorite things to do on a Saturday evening. Before heading to the park, I like to take a stroll on Main Street and stop by one of our local sweet shops like Sugar Cubed and grab an unusual sweet treat to try for dessert, like their (non-alcoholic) Butterscotch Beer. In the summer, come on a Thursday evening to watch the St. Charles Municipal band play on the Jaycee Stage. Dress and accessories from Abigail&apos;s Apparel. For maps and more information about Frontier Park, click here. 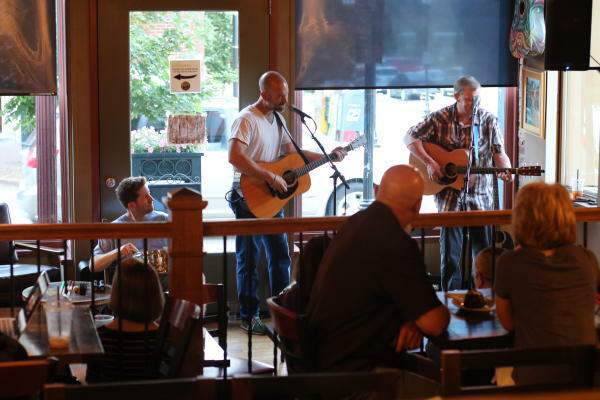 Picasso’s Coffeehouse has live acoustic music on Friday and Saturday nights that makes for a perfect romantic atmosphere. Picasso’s offers dinner until 8 PM, and their menu items are few but great. In addition to coffee, Picasso’s has a drinks menu. Often love-birds prefer to come after dinner, buy a bottle of wine, and grab a table for a relaxing evening of great acoustic entertainment. For more information about Picasso&apos;s on Main as well as Picasso&apos;s Beale Street location, click here. Magpies opened on Main in 1984, meaning it’s a historically awesome favorite of St. Charles locals. Their outdoor area is full of flowers and fans- a great spot to relax and enjoy great food comfortably while enjoying an outdoor atmosphere. Check ahead of time on their facebook page to find out if any local artists are playing- Magpies often has musicians like STL favorite Miss Jubilee come to play on weekends. For more information about Magpie&apos;s, click here. 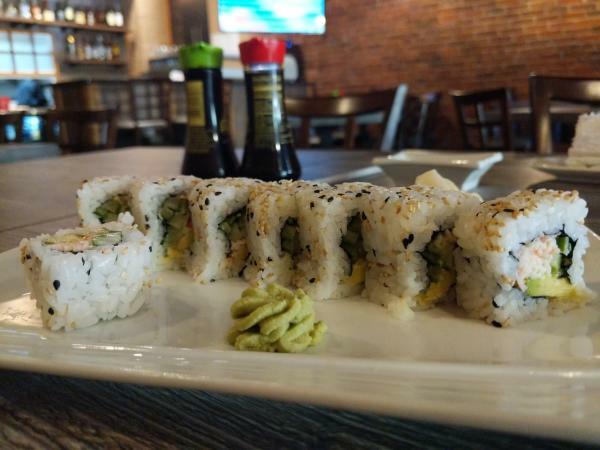 St. Charles sushi lovers are so grateful that Main Street now has a sushi restaurant. This brand new restaurant is already getting some great reviews from locals. I’m not a big sushi lover but the buzz is that Main Street’s newest Spot for Asian cuisine is pretty darn good. The Red Sun is doing sushi right. If you or your significant other is like me, The Red Sun has plenty of non-sushi menu options to choose from, including ramen, edamame, teriyaki chicken, and some terrific crab-rangoon. For more information about The Red Sun Sushi, click here. 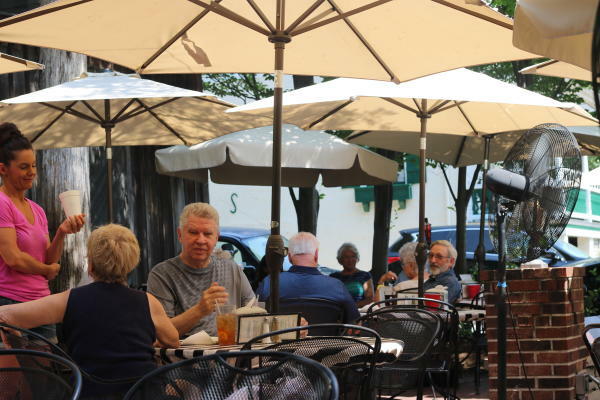 For a perfect date that is sure to feel like a treat, try dinner at Bella Vino, and enjoy their beautiful outdoor eating area with a view of Main Street. Customers love Bella Vino’s Wine menu, and their Tapas menu is delicious- my parents especially enjoy the stuffed Portobello Mushrooms. For more information about Bella Vino, click here.